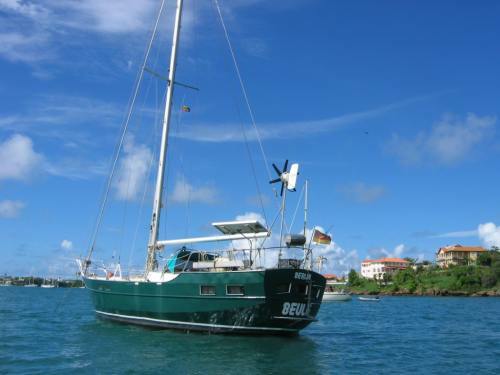 Description: Beam 11 ft. draft 5 ft, 11 tons, Steel-sloop. engine: new installed Yanmar 40 Hp. 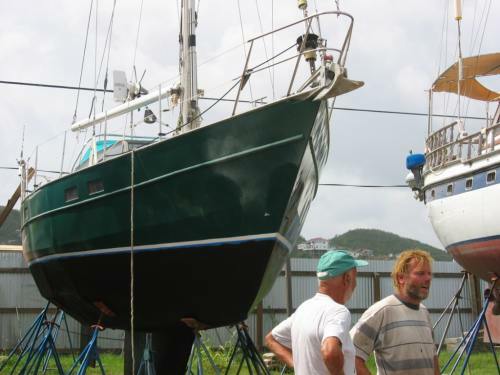 New painted, new antifouling. new inspected rigg, Seldenmast, New VHF with DSC-Controller. One head with new sanitary installation. Boat has done one circumnavigation and is ready to go for a second one. A very stable boat, designed for single handers. $55,000 Euros.